In the last few years, I’ve been noticing more and more of these little community bikes around North America. Warsaw, Poland was my first time actually engaging with this system, so if you are unfamiliar with them, we can figure them out together! 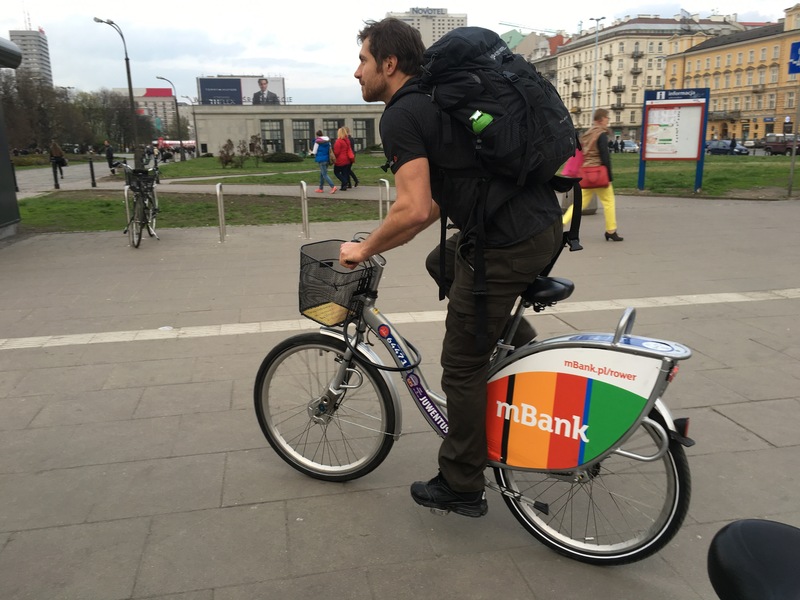 These community bikes, essentially appear in many major cities. Some of you may have heard of Next Bike which is something similar to Warsaw’s version of Veturilo. 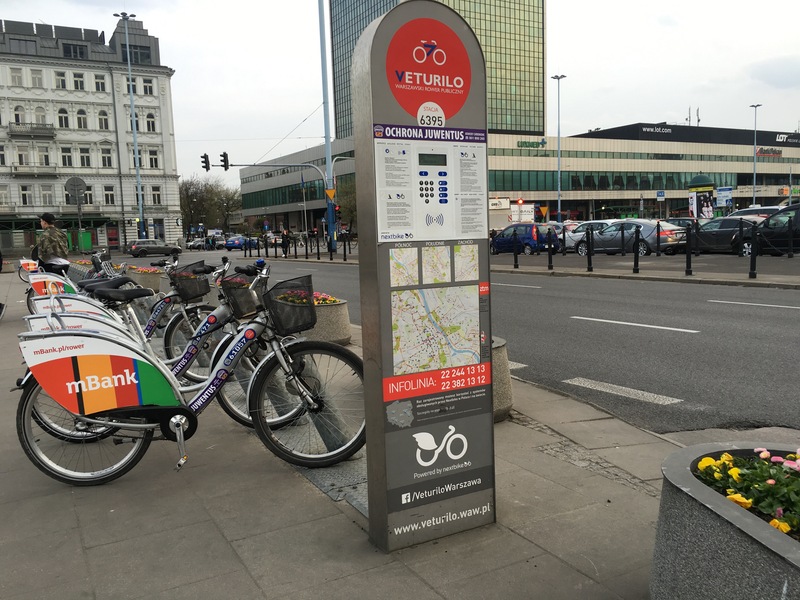 These are a series of locked bikes located all around Warsaw (typically found at major intersections or commuter hubs). You’ll notice a pay machine and a row of hefty cruiser bikes all the same style with a front handle bar basket and some colorful ad on the rear wheel, each with their own unique number. To be able to ride these bikes you need to take a few moments to register online at Veturilo. With a phone number and a quick settlement of a registration fee/ membership of 10 złoty (roughly $3.40 CA) you will receive a PIN number that is your passcode and your phone number is your user ID. Off we go. After we registered using a nearby McDonald’s free wifi , Adam and I found the closest Veturilo bike rack and put our new ID and passcode to the test. 3. 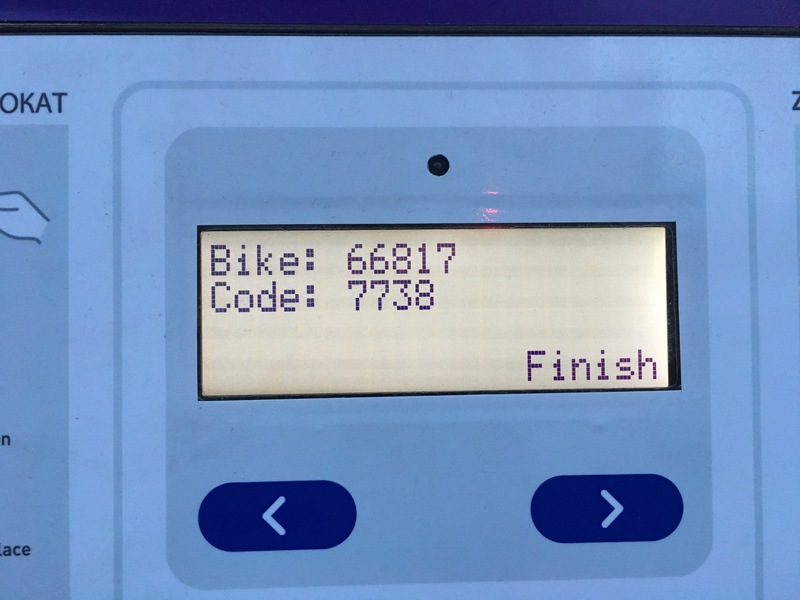 Enter the unique number of an available bike. 5. Take your bike and go forth into the world! It was so easy and so worth it! The other cool thing is that the first 20minutes of cycling is free so you can just find another bike rack, return the bike and sign out another bike and continue on your way! Only thing is we wonder if it’s 20 minutes/ day that is free or 20 minutes per use. However even if it’s 20 minutes of free cycling a day it’s still only 8 złoty for the next hour.